The Gold Coast is full of fun things to do and you are spoilt for choice while holidaying here with the kids. Elite properties are perfect for family and friends to holiday together in the same home and provide a very cost-effective way to stay in luxury. We have a variety of services that can also be included in your stay; theme park passes, boat rides, cycling, tours, in-house catering and babysitting. Family packages can include homes with a cinema, a stunning pool and your own private sandy beach! To keep the kids even happier, check out My Holiday Concierge www.myholidayconcierge.com.au which can provide you with everything you need from hire items, theme park tickets and family friendly restaurants to make your holiday a breeze. They also pick up and deliver your groceries and drinks from only $55 so when you arrive at your holiday home everything is packed away ready for you to just relax. We can take care of it all for you. Large group luxury! Our family group stayed here and we thoroughly enjoyed it. 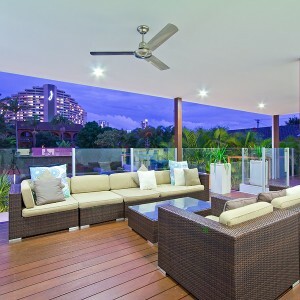 The house is very well set up for entertaining and the pool and views were very relaxing. The finishes and soft furnishings really complimented the high quality lighting and entertainment systems. The team at elite holiday homes were very easy to communicate with and made the process simple from start to finish. There are shops and a park a short distance away which was great too. Plenty of parking. Wonderful!. 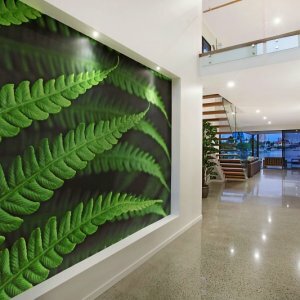 OMG – This property was so amazing! We had a family gathering and this property allowed us all to be together but have our own space. My kids had a great time fishing on the house’s jetty. I was also impressed by the closeness shopping and the beach. Amazing property! We had 2 couples with toddlers staying here for 8 days and absolutely loved it. It was the most amazing place to stay in with kids, given the amount of activities for them to enjoy, both inside and outside. The coffee machine for the adults was a nice surprise too! We would absolutely stay here again, or at any of the other Elite properties. 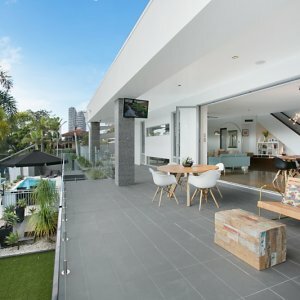 We understand the property is not a "party house" and these activities are strictly prohibited under Gold Coast laws. We agree that the house is not being booked for, nor will we engage in parties of any kind at the property. We confirm that we are over the minimum age to hire the property which is 24 years. Full Terms and Conditions of hire can be found here.